For my last two weeks of travel, the inevitable questions surfaced: Have I experienced enough? What have I learned? I knew I wanted to be in nature, to slow down the influx of anxiety about the imminent return and its questions. Nature seemed like an ideal place that would guarantee to bring me joy. I chose the northern part of Borneo-Malaysia, named Sabah. As soon as I stepped off the plane into Kota Kinabalu, the capital of Sabah, the countdown to the finale began. Landing in KK, as it’s known, and after a few days in Singapore, I was immediately rewarded with the beauty of chaos I’ve found so refreshing during my journey. 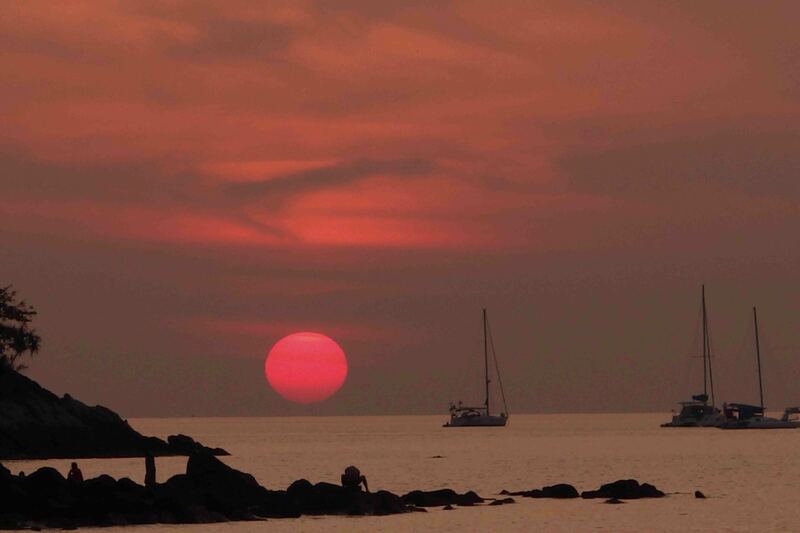 Singapore reminded me of why I left LA and why so many travelers hit Southeast Asia for a breath of fresh air. The easiness, the friendliness, the lack of set regulations is freeing. 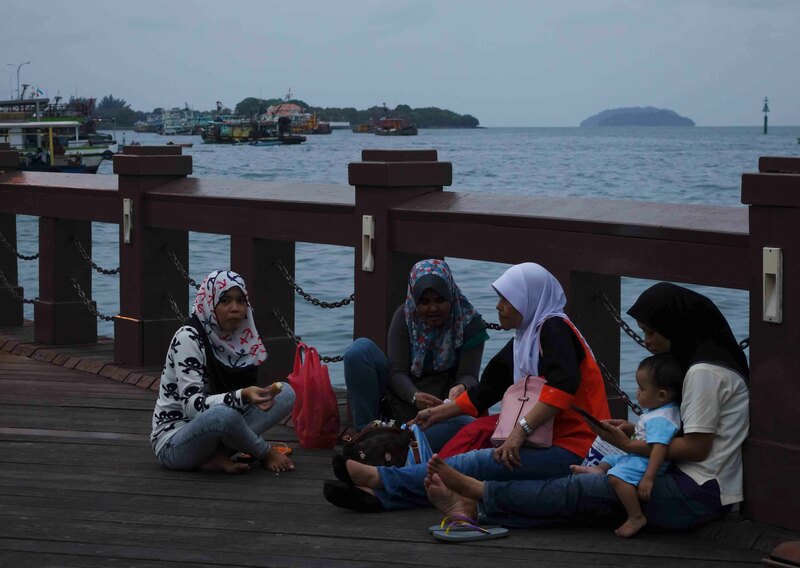 Although unlike other countries I visited, Malaysia is mostly Muslim with a strong Chinese population. This was a change from my previous Buddhist countries and it finds a restrictive expression on its Malaysian-Muslim women. In one encounter with a young woman of twenty-four, she told me she likes her independence and that’s why she isn’t married. Mostly, women marry when they are 18 or so, but not her. She shared that husbands decide if their wives are allowed to leave the home or not, and she isn’t ready yet for those restrictions. She wears her hijab because it makes her feel safer amongst men, as they tend not to bother her this way. 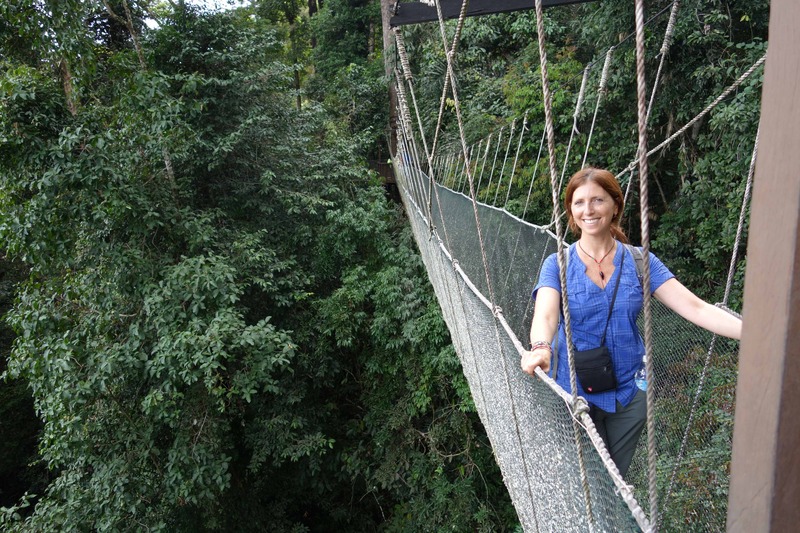 I spent nine glorious days in Borneo and nature has indeed been incredibly rewarding. Visiting the Poring hot springs, pleased me with not one, but two, Rafflesia flowers. 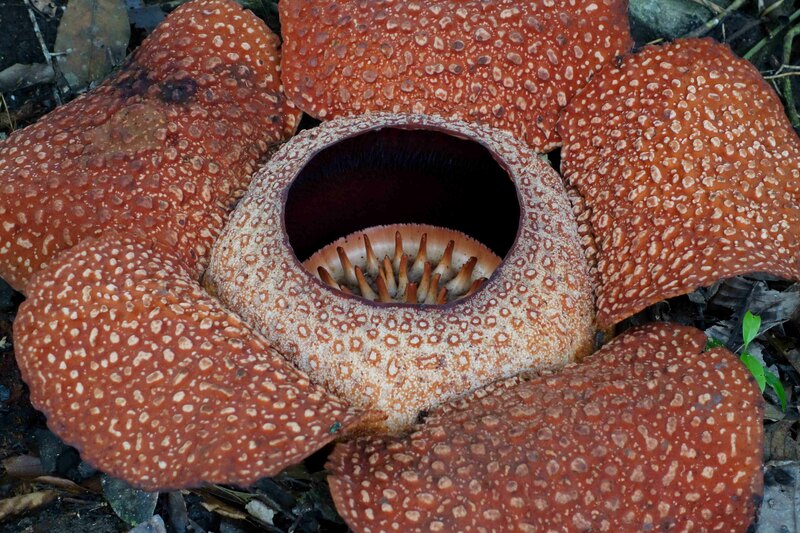 These are giant flowers that bloom between 4 to 8 days and are difficult to locate and ascertain when they will bloom. Timing was indeed right! 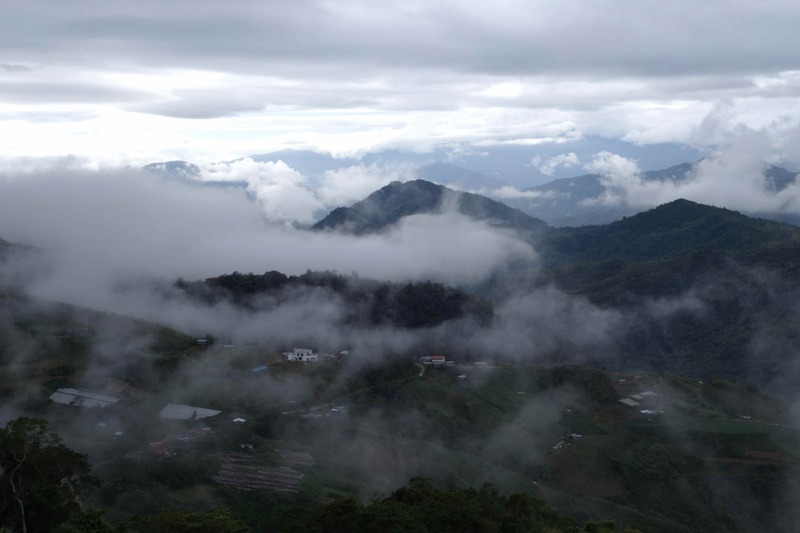 Gearing up for a solo steep climb of 4,000 meters through rainforest at Kinabalu Mountain (the full climb is double that), one of the tallest mountains found on any island, I stayed at a guesthouse overlooking the mountainous range mostly encased in fog. When I came back from a glorious climb in misty rain, through the incredible rain forest, I soon learned that the whole interaction got completely lost in translation. 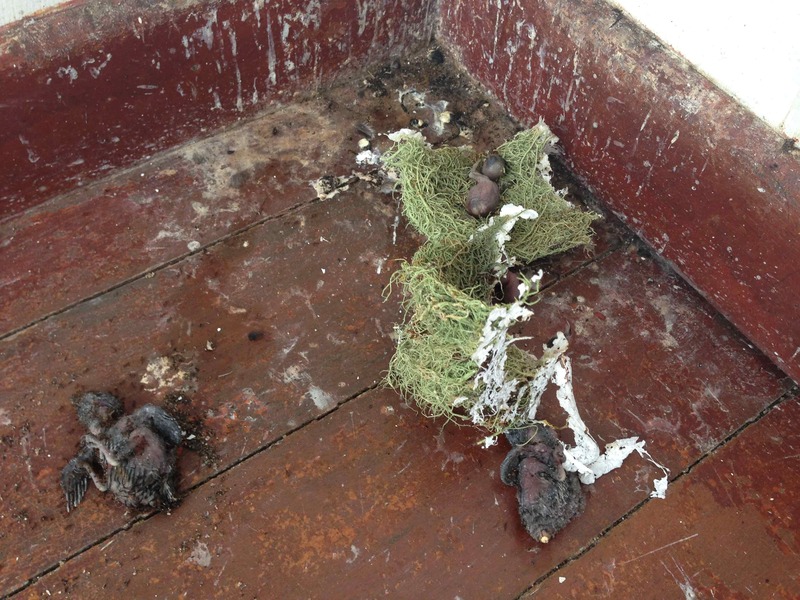 Both nests were swiped clean off the wall, discarded into a corner of the balcony and leaving the undeveloped chicks to die, as they hatch naked with eyes fully closed, and need protection of their nests and mother. 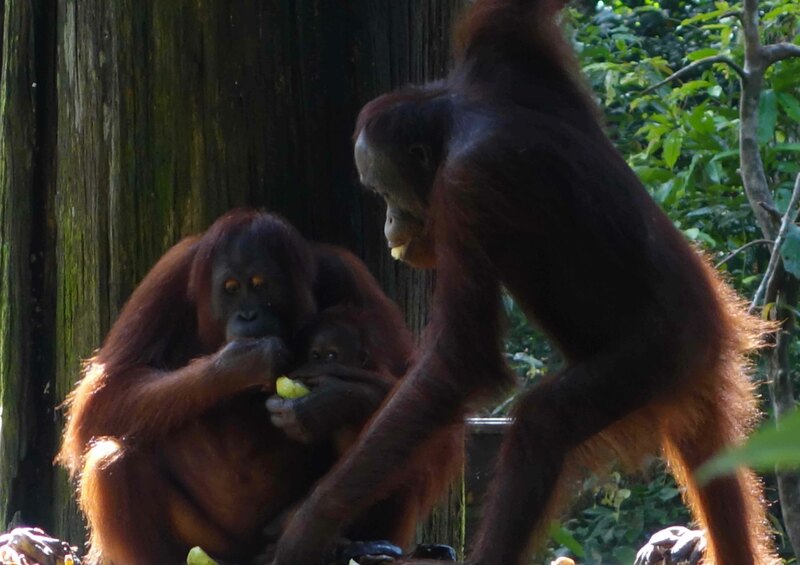 This was a very disturbing sight and a theme that continued throughout my time in Borneo: Our interactions and disconnect to our fellow companions on this earth. 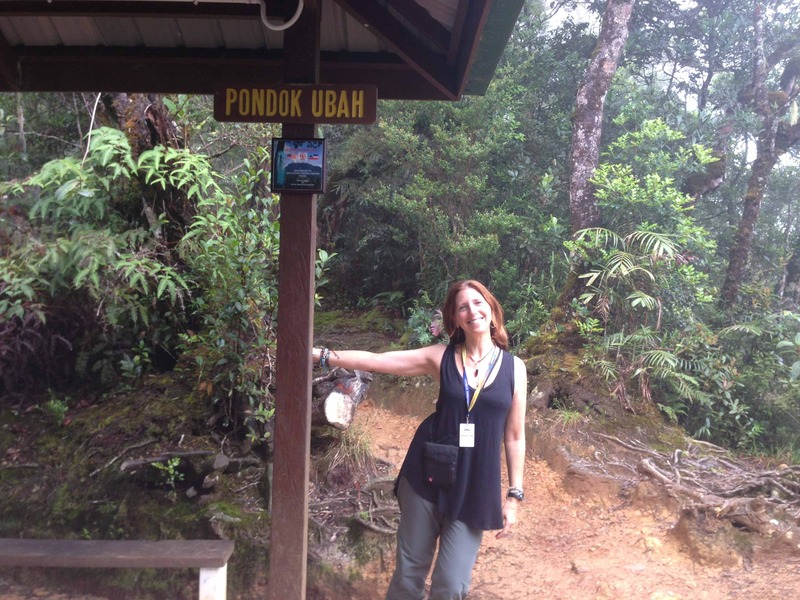 Following my Mount Kinabalu stint I left towards Sepilok, known as the home of the Orangutan sanctuary. 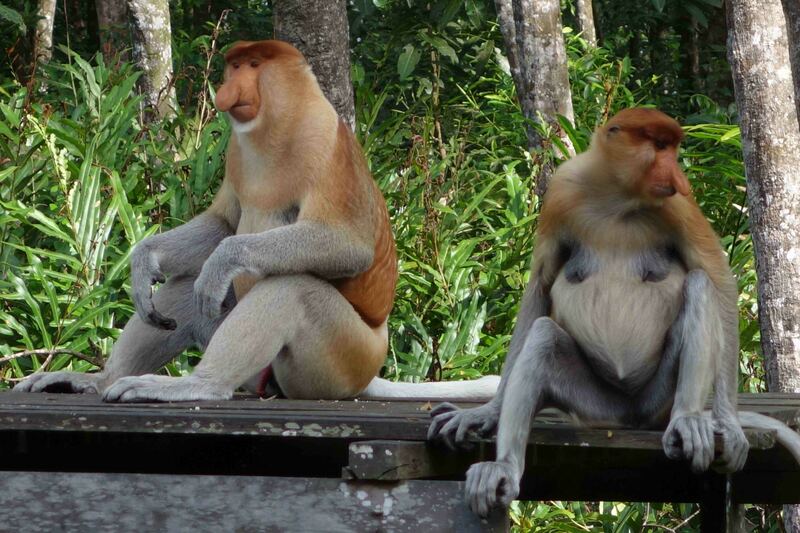 It’s also the home of the Sun Bear sanctuary, (the smallest bear in the world), and a few miles away, the Proboscis Monkeys sanctuary (known locally as Dutch monkeys for their long noses and red coloring!). I spent two beautiful days exploring the incredible work of these sanctuaries that try the hardest against the sweep of Palm oil production. It threatens all of the Malaysian primary forests killing in it’s wake countless species of animals and leaving a much too small habitat for others. 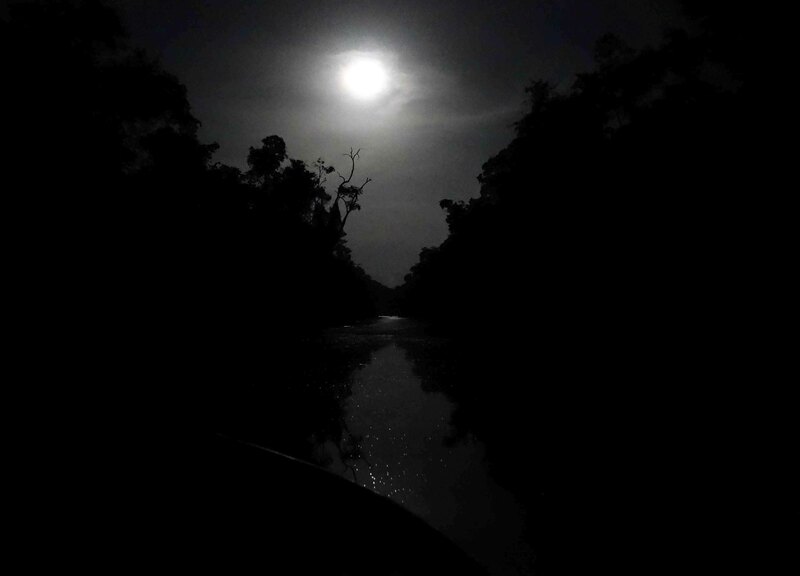 This was also apparent on the following three days spent at Kinabatangan River. 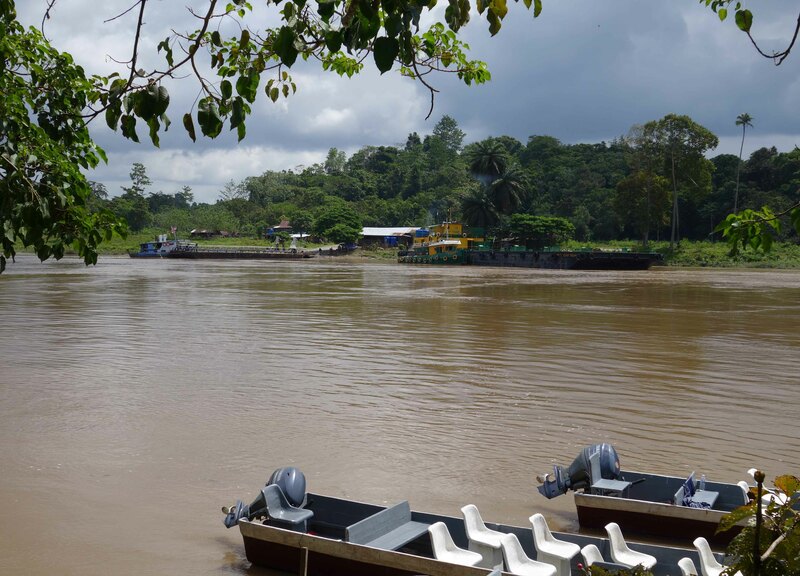 Here, the purpose is to get up close to jungle animals coming to the edge of the river for their nourishment. Unfortunately, the only reason we see them is because they have been squeezed into a smaller secondary forest by the oil palm plantations. Across the way from my B&B, barges connect the palm oil plantations to distribution. Cut down 50 years ago, making many animals extinct like the rhinoceros, it has now grown back. Some animals like bird species, orangutans, proboscis monkeys, crocodiles and wild elephants remain. 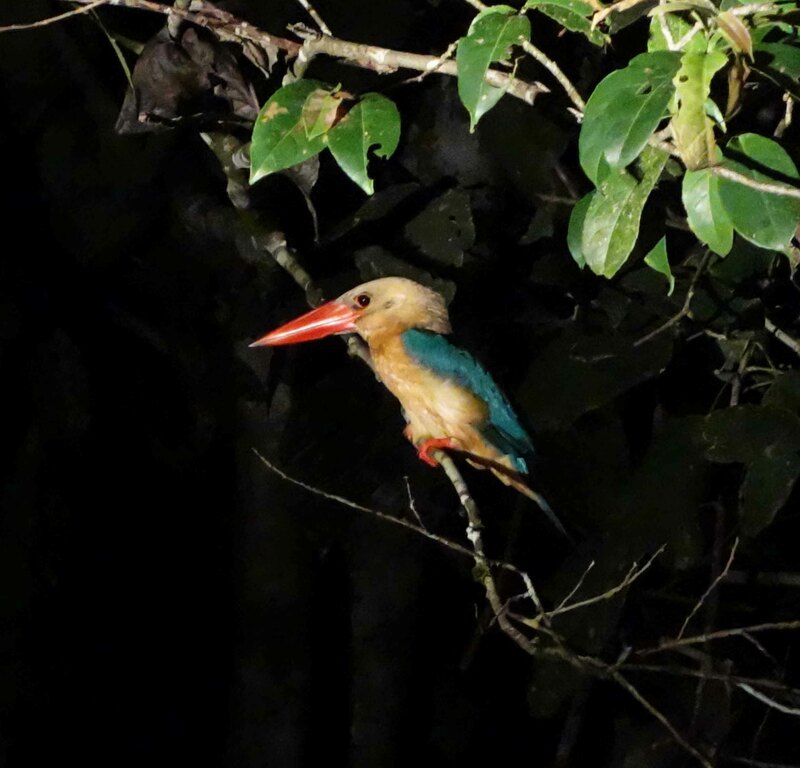 From our small boats our guide can spot hornbill birds, proboscis and macaque monkeys, crocodiles, orangutans, snakes, large lizards, and a Serval cat. 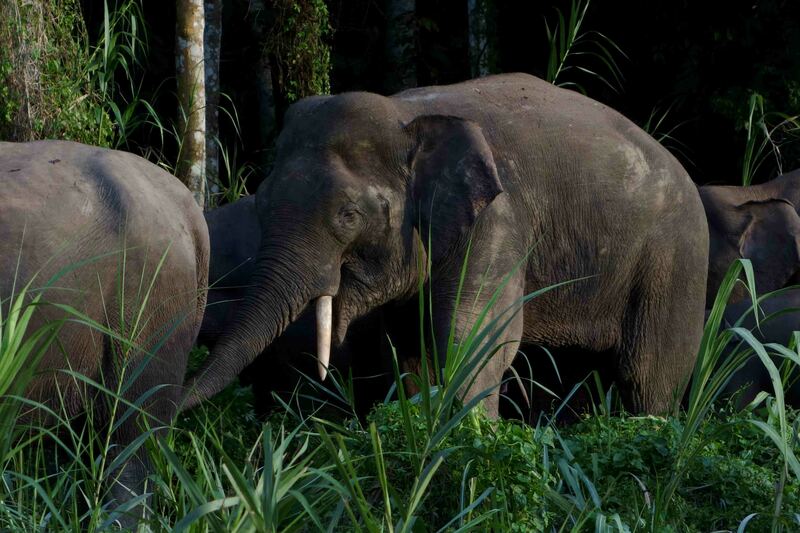 But, the propitious event for the whole Borneo trip was encountering a herd of 40+ South Asian Pygmy elephants eating along the river’s edge. Their beauty was never more apparent than seeing them in their environment, wild, and without human caretakers. It felt like a good omen to close my journey. 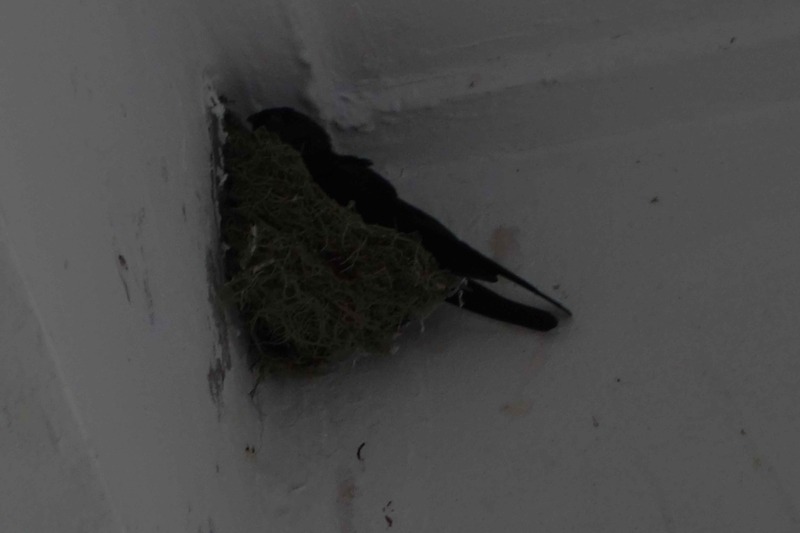 After nine days of gorgeous animal sightings, the monsoon weather was threatening to change unfavorably, and I felt the pressure to make a swift change of plans for the last week of travel. I longed for the easy warm breeze of a tropical island where I could read and think about my journey and get ready for the upcoming landing. I wanted golden sunsets, soft sand and if possible an underwater experience. I headed for the internet café in the nearest village that same afternoon, and began scrambling for the right place in the direction of Bangkok, since I would be taking off from there back home. With help from travelers’ suggestions, I booked my flight to the island of Langkawi, via Kuala Lampur (Malaysia), with final destination in the island of Koh Lipe,back in Thai waters. I’ve been here five nights and it has all the prerequisites I was looking for. So, how come I’m in a foul mood? I feel closed off and I’m not engaging with people, as I’ve grown accustomed to. The island is a bit of a romantic spot, good for couples on their honeymoon, but still, I feel anxious and apprehensive about my upcoming landing. At night I hide in my room not willing to go out and mingle. Indeed the hardest aspect of traveling solo is nights, since they require “extra” effort to engage. Even if it’s not my favorite thing to do, having dinner or going to get a drink on my own never bothers me. It probably would have been easier if I chose to stay at a hostel around here, but I didn’t. I thought I wanted comfort for my last few nights. But hotels are for couples and families. For the most part, people in hotels don’t engage with solo travelers. Truth be told, what’s really eating me from inside is the fear that nothing has changed in me during this journey. Did I just leave for four and a half months to return with the same mindset? But how is it possible to know if I don’t face the awaiting landmines at home? Wanting to see one last time the coral reefs and the colorful fish, I decided to swim across the clear turquoise Andaman Sea towards the little island-rock closest to the beach. True, my body was experiencing sharp pains from legs completely sun burnt, ribcage and right toe excruciatingly swollen from a clumsy fall inside a snorkeling boat, and a ridiculous Thai massage the night before that was still causing throbbing pain in my head. And I had no fins. I ran out of stamina and I panicked wiggling my legs like a manic dog and breathing laboriously. Is the lesson to die on my last traveling day? So why did I panic just now? I’ve gone around the world on my own at the ripe age of 49 years old. When most women my age find this unplanned solo journey difficult to comprehend, either because of fear of the unknown or attachments to comfort. Money it seems to me, is an excuse just like any other. 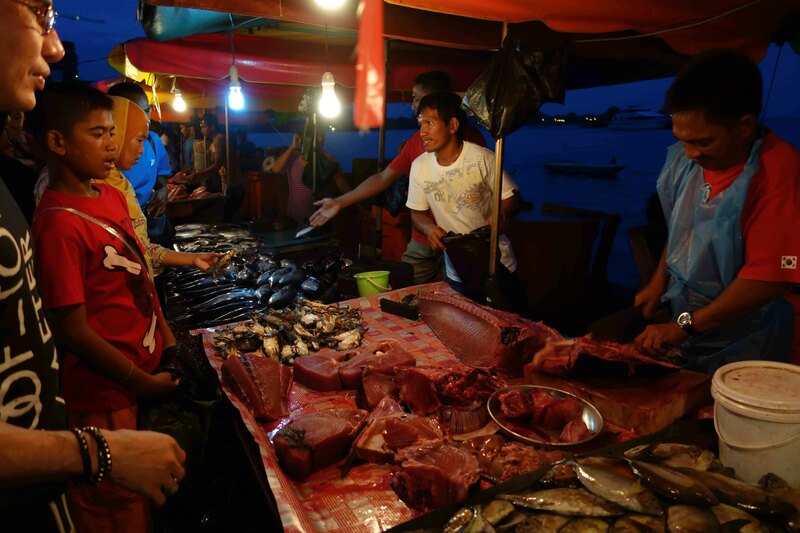 It cost less money to travel in Southeast Asia than to lead a life in LA. Time is also not necessarily an issue. One can travel for two weeks in this manner. But the reality is that not everyone is inclined to leave home behind. Maybe not everyone needs it. As I read blogs about the return I chuckled when 20-somethings would comment on the question: Why do you travel? The answer would always be: Because I don’t want to be 50 and look back in disappointment at the “what ifs.” Well, I also don’t want to be 50 and look back at the what ifs!!! I also don’t want to be 60 or 70 or 49 and feel that way! Youth, it seems, doesn’t have the only master key to traveling. Traveling has brought great experiences, but also difficult moments, and in all I found courage–my own courage. I had a glimpse at the person I am at my core: Easily smiling, joyful to engage with villagers, learn to weave from tribal women, jump into waterfalls, pull off leeches from my stomach, hold my vomit on hair-raising Laotian curves, climb steep mountains, trek in the knee-deep mud, eat really spicy food, ride helmet-less on countless motorcycles, push to the front of bus queues, sleep alone on a lake, speak with my eyes, bicycle in heavy monsoon rain, wash myself in spider-infested bathrooms, crawl in dark caves, not take malaria pills, love with open embraces, make new best friends wherever I go, and even overcome a panicking moment while swimming with beautiful fish in the underworld. Maybe not all of these are considered courageous and some may just be called stupid. Truthfully, I can’t encapsulate four and a half months into a paragraph or snapshots. It has been a journey accurately named, and every day brought new challenges but also, new strengths. It’s the willingness to stay open day after day that makes a journey. And most significant for me, it has been about learning to trust, listening to my intuition, and taking good care of myself. My lesson remains: I’m of this world, above and below the water. I live in it. And, I got a view of the horizon and it’s good. Traveling didn’t change who I am, but it sharpened me. Now, let’s go home and keep this vision alive. Hi Gabriela, nice to meet you. I loved your piece on Myanmar. I feel as if I could read every post about your SE Asian adventure and it would take me right back there. Thanks for visiting and following our blog. I hope you enjoy the stories of our journey, both inner and outer. Hi Alison, thank you for reading along my Myanmar experience and for the lovely remarks.